After 5 years of implementing the Resolution 623-NQ/QUTW by the Central Military Commission on “military logistics work until 2020 and beyond” (Resolution 623 for short), the 2nd Military Region have obtained positive results, contributing to its successful implementation of all assigned tasks. That has provided the important basis for the Military Region to continue stepping up the logistics work in the years to come. Right after the issuance of the Resolution 623, the Party Committee and High Command of the 2nd Military Region have opportunely grasped and implemented it via synchronous measures. 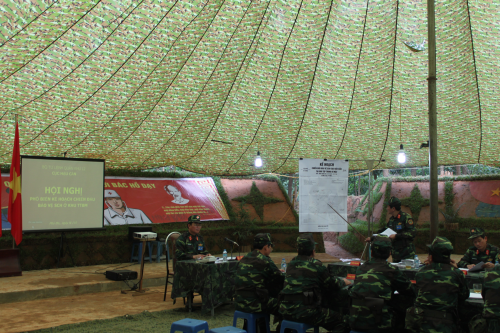 Grounded in guidelines, goals and viewpoint on logistics work, set by the Central Military Commission, the Military Region’s Party Committee has built up Plan 67-KH/ĐU and directed the Department of Logistics to develop Plan 847/KH-CHC on logistics work in the 2013-2020 period and beyond. Those plans have outlined contents, targets, and measures for implementing the Resolution 623, which have been made relevant to tasks of the Military Region and characteristics of the area, and provided the basis for provincial military agencies, units and schools’ implementation. Following the Military Region’s direction, units and agencies have focused their leadership and direction on the logistics work, proactively formulated and implemented action plans, while stepping up propagation and education to raise troops’ awareness of logistics work and promoting the core role of the Logistics Sector in staff work and implementation. Thanks to focalized, uniform leadership and serious implementation, in the past 5 years, the Military Region has basically completed goals of the logistics work identified by the Resolution 623. Its logistics work has witnessed considerable strides; its logistics potential and posture of defensive zones have been increasingly strengthened. Its Logistics Sector has provided logistics service sufficiently, opportunely for its armed forces to successful fulfil military and defence tasks, greatly contributing to maintaining political security and social order in the area of 9 Northwest provinces. Adhering to the Central Military Commission’s guideline, the Military Region has given highest priority to guaranteeing logistics service for combat readiness and contingency tasks, especially for localities and units stationed in the border areas and the areas of central importance and in difficulty. At the same time, it has speeded up building logistics service of defensive zones to meet the requirements of its tasks in both short and long terms. While reviewing, supplementing, completing documents on logistics operations appropriate to the developments of the situation and proactively building up logistics plans and projects for natural disaster prevention and control, search and rescue, the Military Region strictly maintains the regulations on logistics combat readiness and accelerates logistics training and exercises according to stated projects and plans. Notably, it has directed the adjustment of the sum of reserve materials for combat readiness at levels in line with that of its strategic disposition and characteristics of the area. That has helped enhance the capabilities of logistics command, collaboration, coordination and maintenance at all levels for tasks in all situations. 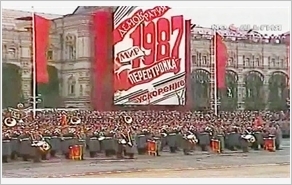 Thoroughly perceiving the Party’s guideline on building all-people national defence and people’s logistics, as well as the Central Military Commission’s directions specified in the Resolution 623, the Military Region has directed its Logistics Sector and affiliates, particularly provincial high commands, to proactively give advice to and cooperated with localities in the implementation of the Resolution 28-NQ/TW by the Politburo (10th tenure), the Government’s Decrees 152/2007/NĐ-CP and 02/2016/NĐ-CP, with great importance attached to building increasingly strong logistics potential and posture of defensive zones at levels. Over the past years, the Military Region’s units have actively counselled localities to foster socioeconomic development in combination with the consolidation of defence and security as well as the building of on-the-spot logistics potential, especially in the areas of central importance, remote, isolated areas, and mountainous and border areas. Due attention has been paid to completing the structure of the defensive zone supply council, improving its efficiency, and building on-the-spot logistics bases and logistics reserve force. Moreover, the Military Region has developed the planning for building logistics posture of defensive zones and directed localities to carry out this task, with a focus on positioning and building Military Region’s logistics bases and rear bases and logistics bases of provincial and district level defensive zones. Up to now, all provinces, cities, districts and townships in the Military Region’s area have consolidated the structure of defensive zone supply council and completed regulations of its operations, accomplished planning for rear bases and logistics bases, initially forming extensive, inter-connected logistics posture among levels. In the face of financial difficulties, the Military Region and localities have invested tens of billions VND in building facilities and projects for rear bases and logistics bases, while combining economic development with defence and vice versa. Innovating logistics service, improving the quality of logistics support, and ensuring troops’ living conditions and fitness have always been at the forefront of the Resolution 623. To this end, the Military Region has actively devolved proper authority to its units so as to make them proactive in logistics support and develop potential of the market economy and their area. At the same time, it has directed its affiliates to encourage self-reliance, speed up production and mobilize resources, while stepping up inspection and supervision of logistics service. Thanks to appropriate measures, in spite of large area, complex terrain, severe climate, localities’ slow economic growth and limited on-site resources for logistics, the quality and efficiency of the Military Region’s logistics service and its troops’ living conditions have markedly improved. Noticeably, the Military Region’s production has witnessed impressive developments at all levels and gradually shifted towards the model of production of goods. Since 2012, it has spent 30 billion VND on upgrading 51 battalion-level production models, building 23 breeding farms and 4 farms in provincial-level logistics bases. Up to now, most of the Military Region’s units have been self-sufficient in 100% of their demand for vegetable, 70%-80% of their demand for meat and fish. 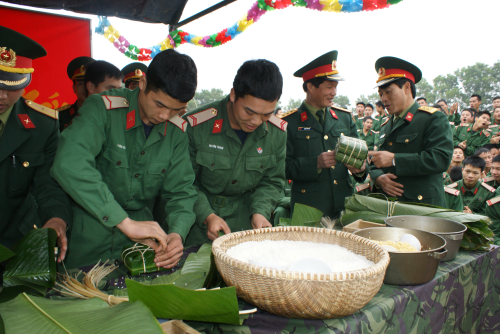 In the past 5 years, the Military Region has produced over 4,260 tons of meat, 1,540 tons of fish, 14,400 tons of vegetable and fruits, worth 110.4 billion VND in total, which has greatly contributed to improving troops’ living condition and boosting economic development in the area. The Military Region’s military medical, barracks building, petrol and transportation work has also achieved positive results and targets set by the Plan 847/KH-CHC and the road map for implementation of the Resolution 623. It has directed its Medical Sector to keep a close watch on the situation of epidemics and diseases; to step up the work of troops’ health care right at grass-roots levels; to employ modern techniques at its hospitals; and to actively examine and treat the people medically, particularly those in remote, isolated areas and border areas. In the past 5 years, there has been no epidemic in the Military Region’s area, and its healthy strength has always reached 99.04%. Besides, the Military Region has closely directed the construction of barracks, thus basically changing the appearance of units and agencies’ barracks. It is among the first ones that accomplished the master plan for site of barracks above battalion level and remove seriously downgraded bungalows. Up to now, its units all have vast, clean, fine barracks. Over 93% of its units use clean water; 95% of units use electricity from the national network. With strong determination, the Military Region has proactively mobilized resources to upgrade the system of petrol depots and garages at all levels in a safe, economic, highly efficient manner. Besides, to enhance the quality and efficiency of its logistics work, the Military Region has strictly maintained regulations on management and use of logistics facilities and materials as well as finance, while stepping the adoption of economical, anti-wastefulness measures in all aspects of its logistics work, particularly in mobilization of resources, construction, and use of petrol, electricity and water. Since 2012, it has saved more than 2,500 tons of fuels, 6,812,000 KWh of power, 2.3 billion litres of petrol, 89.9 tons of lubricant, worth tens of billions VND. Grounded in the Resolution 623’s goals, the Military Region has attached great significance to consolidating the organizational structure of logistics sector in line with its planning for force organization. At the same time, it has synchronously taken measures to build a contingent of both “red” and “expert” logistics cadres and employees, while placing emphasis on regularity building and public administration reform. As a result, operations of its Logistics Sector have experienced renewals, being put in order and regularity, producing high quality and efficiency. Apart from recorded results, there have existed limitations in the Military Region’s implementation of the Resolution 623. Several party committees and command staff have yet to be resolute in leadership and direction; targets and measures for the implementation of the Resolution are still vague; coordination among agencies has yet to be effective. Quality of the staff work of logistics offices in several units has yet to be high. Results of implementation of logistics work have yet to meet the stated requirements. The above-mentioned weaknesses were clearly pointed out in the Military Region’s conference on reviewing the implementation of the Resolution in the 2013-2017 period. To continue implementing the Resolution 623 effectively, improve the quality of logistics work, meet the requirements of tasks, in the time ahead, the Military Region directs agencies and units to further introduce and grasp the guidelines, targets and viewpoints on logistics work set by the Central Military Commission as well as missions of the Military Region’s armed forces. It is necessary to be full aware of the importance of logistics work; to raise a sense of responsibility of party committees and commanders for leadership over this work; to promote the core role of Logistics Sector and the combined strength of forces in carrying the work. To this end, the Military Region requests units to review the plan for implementing the Resolution 623, opportunely adjust and supplement targets and measures for the 2018-2020 period and beyond so as to ensure feasibility and relevance to reality. Simultaneously, it actively inspects its affiliates’ implementation of the Resolution, while opportunely drawing lessons, encouraging, rewarding and multiplying typical examples. To fulfil the targets set by the road map for implementation of the Resolution 623, it continues to mobilize all resources possible and focus on central tasks and weaknesses of its logistics work, especially on combat readiness and the task “C”. Moreover, it actively innovates comprehensively and improves the quality of logistics services, particularly troops’ health care and production model; strives to complete building barracks for active units and district-level military commands as well as the projects on water supply, inner courtyards and roads for units; builds and upgrades infirmaries, hospitals and systems of petrol depots, garages, campaign and tactics level artillery sheds. It also continues to direct and work with localities to build strong logistics potential and posture of defensive zones appropriate to characteristics of the area. Great importance is attached to planning and building campaign-level logistics bases, rear bases and logistics bases of provincial and district level defensive zones, thereby forming inter-connected, strong logistics posture, meeting the requirements of logistics support for the Military Region’s armed forces in all situations, both in peace time and war time. Notably, the Military Region accelerates completion of organizational structure of its Logistics Sector, building comprehensively strong Logistics Sector to play the core role in logistics service and meet the mission requirements both in short and long terms. Those recorded results represent preconditions for the 2nd Military Region to continue successfully implementing the Central Military Commission’s Resolution 623, thus contributing to enhancing its armed forces’ aggregate strength, combat strength and successful implementation of military and defence tasks in the new situation.